Things to do in Clearwater ... IslandTime.com is home to Florida's friendly island and beach communities of Clearwater, FL, Indian Rocks Beach, Indian Shores, Redington Shores, North Redington Beach, Redington Beach, Madeira Beach, Johns Pass, Treasure Island, St. Pete Beach, Pass A Grille, Tierra Verde, Dunedin, Sand Key Beach, Belleair Bluffs, Belleair Beach, Belleair Shores, & the whole of Pinellas County and the Tampa Bay Gulf Beaches. Come visit us, or move into the neighborhood! Let the IslandTime.com Web Site be your guide to Tampa's Gulf Beaches and Florida's West Coast Island Communities, from Clearwater Beach to St. Pete Beach & Tierra Verde, as well as our mainland cities including Largo Clearwater, St. Petersburg & Tampa. The Tampa Bay Gulf Beaches barrier islands are located in the Gulf of Mexico just off Florida's West Coast. We boast of some of the finest beaches in America and are close to many of Florida's great Attractions. And, there's always something going on for residents and visitors. Check out the Tampa Bay Events happening on and near the beaches. Check out the Weather on Tampa Bay's Gulf Beaches, with a 10 day Forecast available. Looking for things to do this weekend in Pinellas County? Looking for things to do in Tampa this weekend? What to do on summer vacation for kids? What to do on summer vacation at home? One of the best things about being a local in the Tampa Bay area is that we know the best places to go for summer vacation. But even with all the things to do in Tampa Bay, sometimes we all get a little bored on summer vacation. Please take a SCROLL through the Island Time Shopping Mall & Business Directory ... quality products and services for you, your family and your business. Finally, check out the Advertising Opportunities available via IslandTime.com & and other relevant domains to enhance the effectiveness of YOUR Internet Presence. To view one of the latest websites by Empowwwer, take a look at a NEWLY redesigned website featuring InformedDNA, a genetic counseling provider. Tampa Bay Florida Area Luxury Condominiums and Homes on the Gulf of Mexico, Second Homes and Primary Residences, On the Beaches, On the Waterfront and Inland . FOX 13's Bill Murphy is constantly roaming the state, searching for unique and exciting places you can visit on one tank of gas. Whether you are new to the Sunshine State, or have lived here all of your life, this segment featured regularly on "Good Day Tampa Bay," is the perfect guide to places that are truly Florida treasures. You've enjoyed Bill's first two book, now here's MORE! Fox 13's Bill Murphy has found 52 new and unique Florida treasures that are truly "Off the Beaten Path." 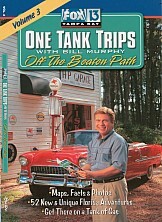 The two previous One Tank Trips books were Florida best-sellers which left many asking for more. Well, Here it is! 52 new fresh and exciting trips. Enjoy Florida, get out and discover more places that you never knew existed! This book gives you all the details about the trips including: maps of how to get there, admission prices, hours of operation and time saving tips. And it conveniently fits in your glove box! Bill provides another pot of gold - and they're all just a tank of gas away from the Tampa Bay area! You've seen Florida's theme parks. Now where do you go? Here is the perfect guide to off-beat adventures and attractions in the Sunshine State - one for every weekend of the year. Fox 13's Bill Murphy gives you the inside story on these unique places and diversions. 52 Brand New Fun Filled Florida Adventures. Another perfect book for weekend adventurers, out-of-town guests searching for unusual diversions, and families seeking a fun family outing. 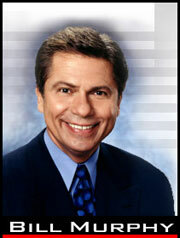 On-air personality Bill Murphy includes all the pertinent facts for a great time, including inside "secret" tips, phone numbers, admission prices and visiting hours, and detailed maps for each trip with easy directions on how to get there. Have you seen the IslandTime Cruiser? Watch for it on Gulf Blvd, and around Tampa Bay, and traveling the East Coast of the United States. Coming or Going, this Island Cruiser is Distinctive! The IslandTime Cruiser IS a Website Traffic Generator! The Island Time Web Site is constantly growing and expanding. If you have information you'd like to contribute that will be of interest to residents and tourists, or you'd like to sponsor existing or future Island Time features, please contact David Moninger, Island Time Webmaster. The IslandTime.com website, and other associated websites, provided information for the communities of Clearwater Beach, Sand Key, Belleair Beach, Belleair Shores, Indian Rocks Beach, Indian Shores, Madeira Beach, North Redington Beach, Redington Beach, Redington Shores, Johns Pass, Treasure Island, St. Pete Beach, Pass A Grille, & Tierra Verde. Need your first web site? Unhappy with the performance of your current web site? web site review, and Internet Marketing support. Real Estate in the Tampa Bay Area?